The first two generations of MG Magnette (ZA and ZB) were built from 1953 through 1958 with styling by Gerald Palmer. The Magnette shared most of its parts with the Wolseley 15/50, and those parts included advanced features like a unibody chassis, rack & pinion steering, independent front coil springs, and live axle with semi elliptic leaf springs out back. Power came from a B-series inline-4, but not today. 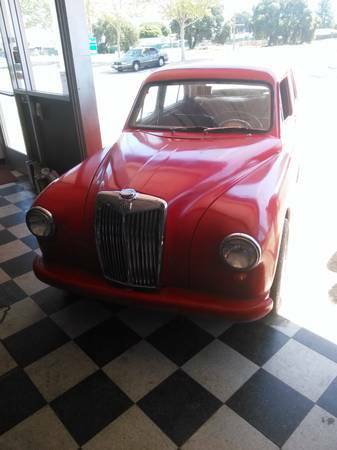 Find this 1959 MG Magnette ZB offered for $6,500 in Brentwood, CA via craigslist. Tip from Kaibeezy. If you are looking for an all original Magnette, I'm afraid this isn't your car (there was a '55 Magnette that failed to meet reserve here on eBay at $11,351 a few days ago -- it should pop back up again soon). According to the seller only 18,000 were produced and this is one of the few left hand drive examples to make it to the states...almost makes you wish it had the original "crap" B-series 4-banger...nah. Under the hood is a 2.3 liter Ford Pinto inline-4 good for an undisclosed amount of horsepower (could be 100, could be more...especially if it is a turbo version) and mated to a C4 auto transmission. 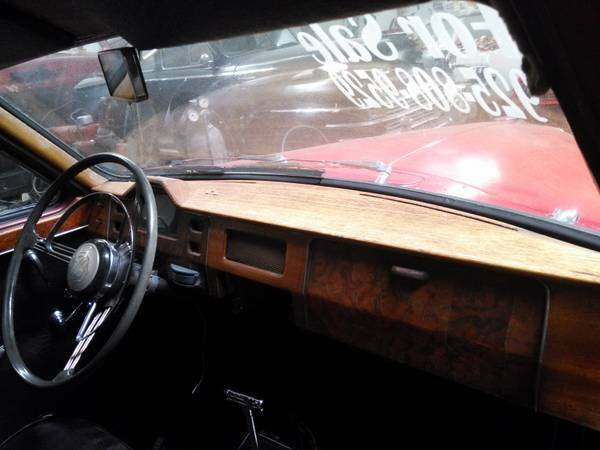 It runs and drives, but could need some work based on how you interpret the seller's description. 1959 mg magnette runs and drives, original motor was crap and replaced with a ford 2.3L 4 cylinder with a c4 trans by previous owner, this car gets up and boogies, this is a very rare car to find in the states only 18,000 were produced total and very few left hand drives were sent to the states. all new duraspark ignition so no points to deal with, dash is %80 complete and all interior is original with driver seat showing the most wear, original pop out turn signals are there but I haven't tried to get them to work, there is no body rust or cancer on the car. asking $6,500 or best offer also open for trades, I only trade for classics 1970 or older, no motorcycles, boats or tools, I don't need them, no low ballers the grill all by itself sells for $1500 on this car, this is a great project for someone wanting to get in the British market. remember it runs and drives!!! and what the heck is going on with all the Pinto stuff this week? We've been off to a late start, but it is the year of the Pinto according to my home-brew translation of the Chinese Zodiac calendar. The weather is getting nice and putting people in mind of barbeque season. Suddenly; "Hey, I have that Pinto stuff around." Okay, yeah, the original motor WAS crap. From there, though...I'm scared - no, terrified - to see what was done to make the 2.3 and T5 fit. I can think of all kinds of engines I'd love to see in this thing, but the shaker 2.3 is one of the ones that DOESN'T belong. Ah well, best not to get emotionally engaged in something like this when there are LHD Triumph Dolomites out there in need of a good dose of Saab B234. I dont love chrome, but these bumpers need to go back to chrome, strip the paint and send em out, thats easy. New wheels thats easy. My knowledge of the pinto motor consists of this sentence, they run 'em in some formula fords. 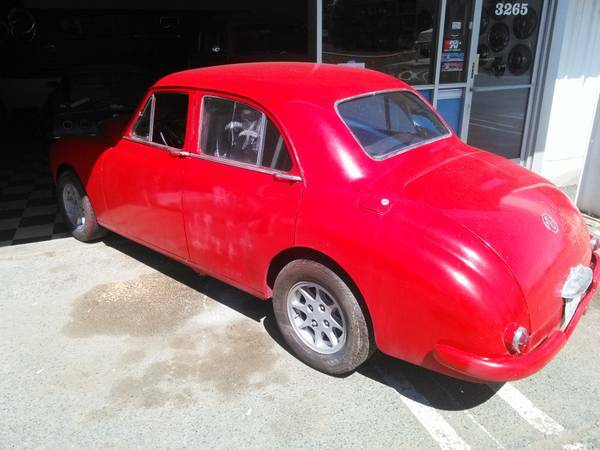 So maybe thats a keeper or grab a bmc b series out of an mg b probably not hard. Fixing the dash, eh that might require a bit of talent or cash but probably nothing crazy. But autotragic is not acceptable, find a 4 or 5 speed quickly. That might be the real reason for the ford engine.